We have answers to the most common child support questions from employers. Most employer obligations and tasks can be managed easily online using the Oregon Employer Services Portal ». If you cannot find an answer to your question here, please contact Employer Services. What if my employee’s available disposable income is less than the pay period amount on the order? Cash support (including spousal support) is withheld first, health care coverage premiums second, and “other” is last. If the employee has multiple notices for withholding, withhold first cash support (current and arrears) for all cases on a proportionate-share basis, then equally apply any remaining amounts to all orders with arrears. If any income is left after cash support is withheld, then withhold for the health care coverage, and “other” would follow. How do I, as an employer, know when and how much to withhold when I receive an “Order/Notice to Withhold Income for Child Support”? Withholding income must begin the first pay period occurring after you receive the Order/Notice to Withhold Income for Child Support (CSF 11 0210 (PDF) »). The notice informs you, as the employer, of the amount to be withheld. You must send the withheld income within seven working days of the pay date and date of withholding. Send the withheld income to the address under “remittance information” in the notice. Disposable income is defined as the part of an individual’s income remaining after the deduction of any amounts required to be withheld by law. In Oregon, mandatory deductions are: federal, state and local income taxes, Social Security, Medicare, workers compensation, and any statutory retirement payments. Can I withhold child support from lump-sum type payments? 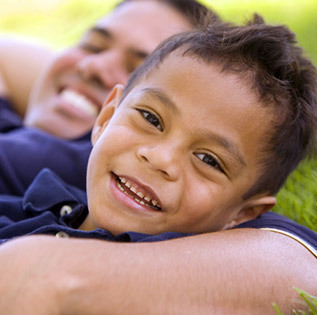 Yes, child support can be withheld up to 50 percent of a lump-sum payment after mandatory deductions. The definition of income is money owed to an employee and includes but is not limited to: money paid for personal services, including wages, salary, bonus, commission, pension, or retirement payments. Income received as an independent contractor, cash dividends from stocks or bonds, unemployment compensation, disability, and workers compensation benefits are all considered income as well. If the employee is due to receive any type of lump sum or benefit, you may be required to withhold from that income. Contact Employer Services at 503-378-2868 for assistance. What if I, as an employer, do not comply with the income withholding order? The employer may be liable for the full amount of support not withheld from the employee’s pay, and may also be subject to a fine and be required to pay reasonable costs of a civil action to recover the amounts subject to withholding, including attorney fees. The notice from another state references the issuing state’s laws instead of Oregon laws. Which do I follow? exceptions to federal CCPA limits. exception to seven business day remittance. order retention when employee terminates. If your employee works in different states, follow the laws of the state to which you report quarterly payroll earnings. Can I, as an employer, charge the employee a fee for processing the withholding? In Oregon, a fee of up to $5.00 per month per case can be charged to each employee. This fee is deducted from the employee’s remaining income and not the child support payment, unless withholding is 50 percent of the employee’s disposable income. In this case, withhold the fee from the amount you send to us or the issuer of the order and notice. Oregon law states that the amount withheld, including the employer’s fee, cannot exceed 50 percent of the employee’s disposable income. Do I have to tell the employee that I, as an employer, have received a notice to withhold income for child support? The Oregon Child Support Program sends a copy of the income withholding order and notice to the employee when we send the document to the employer. If the order and notice was sent by another state, you must provide a full copy to the employee. Can I send my payments by Electronic Funds Transfer (EFT)? Electronic funds transfer is available to employers, see Income Withholding and Methods of Payment. Why did I receive an income withholding order when the parent does not work here? What do I do now? The nation’s child support programs receive employment information by different sources and methods. Unfortunately, not all information received is the most current. Complete the termination information section in your employer packet, and fax or mail it to the address listed on the order and notice. Please include any information you may have regarding subsequent employment if the parent worked for you, or note that the person never worked for you.